CD's!!! we're no longer sold out! Summer Schedule - 5 weeks of various youth camps! CD's!!! We've been sold out of both albums for quite some time now. It's a good problem to sell out of your CD's! For us, it meant that we got a lot of support a lot faster than we were expecting. Thankfully, we're no longer sold out though. We've finally ordered another batch of both albums so if you don't have one yet, you can now. Sorry it's taken so long to reorder them! Summer Schedule - This summer is sure to be crazy...in the good way. Phil will be playing 4 weeks of Crossings Camps (Cedarmore Campus) through June & July as well as the whole band playing at Velocity. We love playing at Velocity and are excited about the new relationship with Crossings. It's going to be a great summer. Check out the schedule page for more details. Here's a new song called "You've Stayed (All Along)". My new CD is officially for sale now. 100% of the proceeds from this CD will go toward helping bring our child home from Ethiopia. For more info on our adoption, read here. If you’d like to preview some of the songs, check out the music player below. click “SHARE” to grab this music player and post it on any of your sites. sneak peak of acoustic EP posted on myspace go check it out! This coming Saturday, July 19th, Joe and I will be playing an acoustic set at Winan's Coffee and Chocolates in front of the Dayton Mall. We start at 7:30. We'll definitely be playing a lot of our new songs as well as a few surprises. Come on out and join us!!! 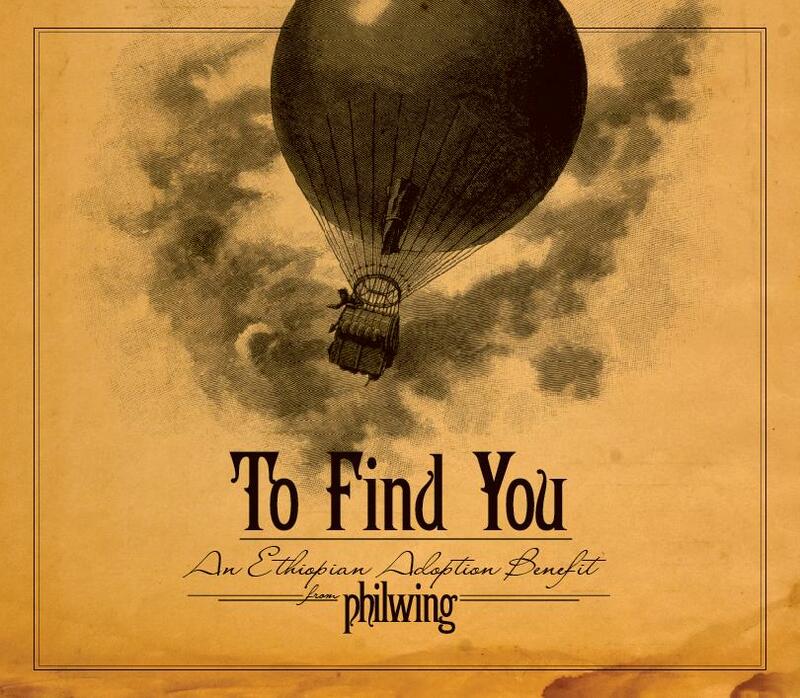 May 2nd, 7pm, at Apex: philwing, charis, and blackburn Please mark your calendars for Friday, May 2nd - 7pm. 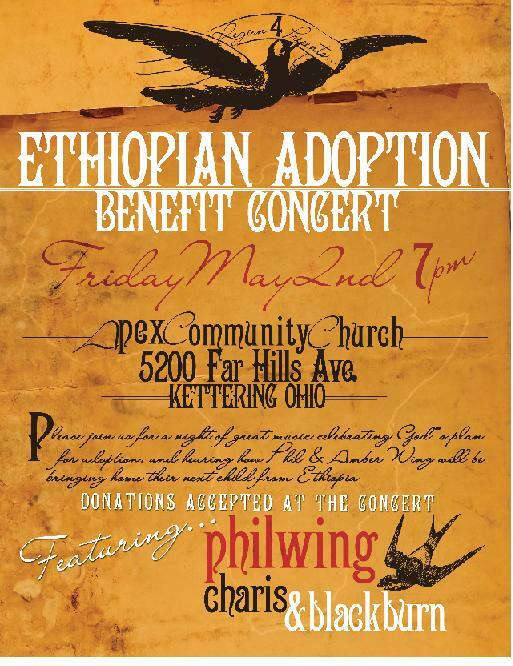 We’ll be having a benefit concert for Phil and Amber's upcoming adoption. It will feature philwing, charis, and the debut performance of blackburn. It’ll be a night to hear some good music, how God has led Amber and I to adopt, and how you can possibly help. Please come!!!!!!! there's a "home recording" of a new Christmas song I wrote on myspace...it's called "He Has Come to Us"...check it out.